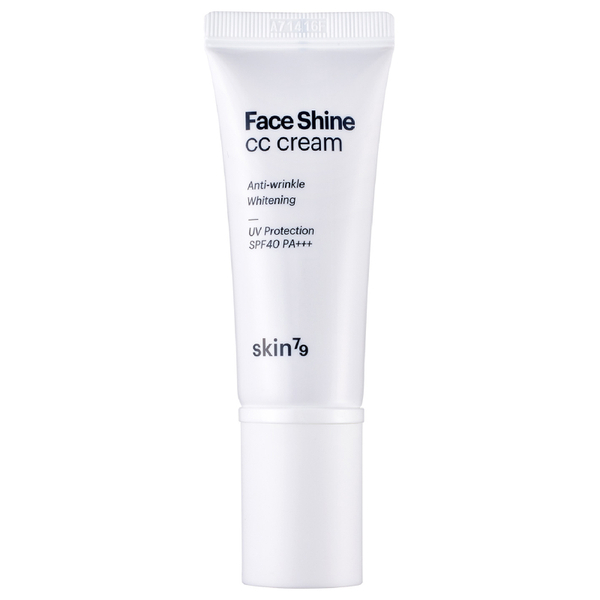 Achieve a flawless complexion with Face Shine CC Cream SPF40 PA+++ from Korean brand, Skin79. Creating the perfect canvas, the CC cream is designed to correct skin tone and conceal minor blemishes and imperfections. Triple functioning, the lightwieight formula is enriched with Red Ginseng, which visibly brightens skin tone and leaves the complexion radiant, youthful and dewy. Finished with SPF 30, the cream protects the face against harmful UVA and UVB rays.